Massey Community Hub started life as the local library servicing the Massey community. When the library moved to its current location, Massey Community House Society Incorporated moved into the premises and continued their work supporting the local community. In 2015 Auckland Council took over management of the venue and renovated it with the purpose of becoming a "fit for purpose" building that could cater for the growing needs of our diverse community. Massey Matters took over the lease from the council in 2017 and continue to develop community engagement, activities and events from the refurbished venue. 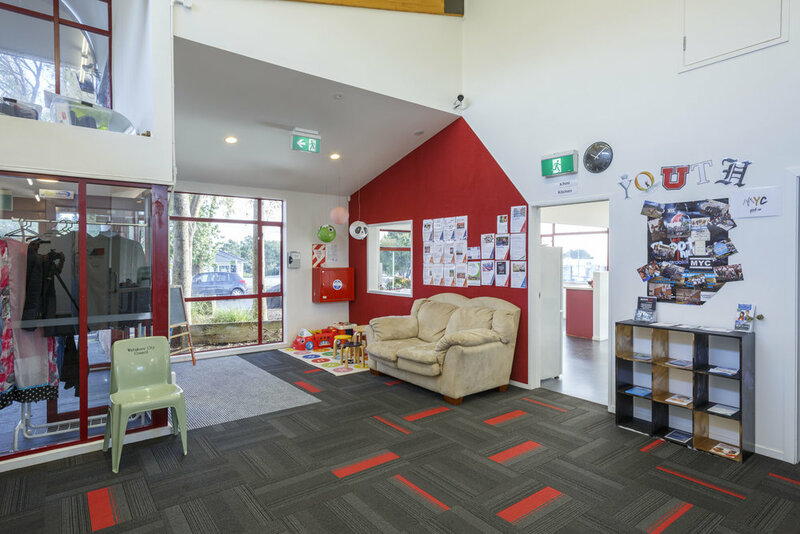 It's location within Triangle Park Reserve has meant Massey Community Hub has become the focal point for community engagement in Massey. Surrounded by leafy trees and vast lawns, the hub is a light-filled venue adjacent to a flourishing community garden, a playground and a basketball court. Everyone in the whanau is catered for at our location! The hub offers a range of community activities as well as space for meetings and private functions. Sisters talking real to sisters. Women from all walks of life are welcome. co designing events for the community. we do and more importantly we have FUN! make a difference for your family? Free play session for parents, babies & toddlers! ways of playing with your children. No bookings required just pop in! and relax in the friendly companionship. tension and stress. $7 per session. Do you dream of being in a band? Te Reo is one of the three official languages of Aotearoa. Te Reo is becoming common in everyday conversation in New Zealand and there is an increasing expectation that people will know at least of few Maori words and phrases. Learning Te Reo is a great way to connect to our tangata whenua and their traditions. A fun, safe post natal fitness class. Wear your baby while you work out.